Gloria was the kind of person who took every opportunity to make the very best of all she did in her life. She was born in Randfontein – her father was working on the mines and she and her sister, Rhoda, went to school on the West Rand. She became a teacher at Randfontein High; teaching Guidance and Biology. Once retired she became a sought-after invigilator for the IMM and Real Estate Board. She knew all the tricks of exam writers and ruled the exam room fairly but strictly. Gloria was a talented sports woman, excelling in swimming and cricket. She played in the South African women’s cricket team in 1972 and her passion for the game stayed with her as she followed the fortunes of the national men’s and women’s teams. In the 1950’s she swam for Transvaal and trained with the famous Cecil Colwyn at the indoor Hillbrow pool. She joined Masters Swimming and swam in the South African Masters Swimming Championships in 1993, being a member of the Transvaal Masters team. In 1994 she was part of the South African team who competed in the World Masters Swimming Championship in Montreal. She was awarded SA Colours in 1998 and 1999. She continued swimming as part of the Wanderers Masters Club, then Old Eds Masters Club and was still competing for Phoenix Masters Club when she was diagnosed with cancer in 2003. 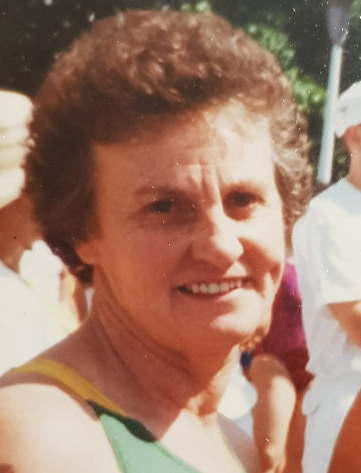 Gloria was a keen open-water swimmer and never missed a Midmar Mile event. Being in a team with Gloria, whether it was a local gala, world championship or weekends at Midmar was a great privilege. She was such fun to be around and her enthusiasm for swimming and her relaxed and calm approach to racing was infectious. She was a fierce competitor but supported all fellow swimmers. Travelling with Gloria on many Midmar weekends, staying at Umgeni Valley, was a treat as her knowledge of the bush, the birds and animals was amazing. Gloria travelled overseas as often as she could – many of her friends overseas were from her cricketing days and once you were a friend of Gloria, it was for life. Gloria’s dogs were a great joy to her and comfort in her times of ill health. Gloria battled cancer and the after effects of her treatment with courage and never complained. A truly remarkable lady who will be missed by her friends and family.